Learn how to integrate all the interface elements iOS users have come to know and love, such as buttons, switches, pickers, toolbars, and sliders. In this edition of the best selling book, you'll master a variety of design patterns, from the simplest single view to complex hierarchical drill-downs. Beginning iPhone Development with Swift 4 covers the basic information you need to get up and running quickly with your iOS apps. 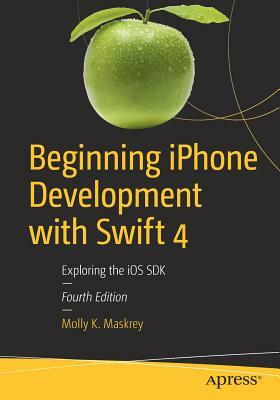 Once you're ready, move on to Professional iPhone Development with Swift 4 to learn more of the really unique aspects of the SDK and Swift language.